Every one of us long for a perfectly flawless fair skin any are ready to pay any worth to make this wish come true. Its normal human psychology and there’s nothing weird about it. A lot of cosmetic brands are available in the market today that promises to fulfill these wished. And some of them to a large extent do it too. Today we have come up with a range of the top 10 best cosmetic brands in the market that offer skin whitening soaps in India. Have a look! 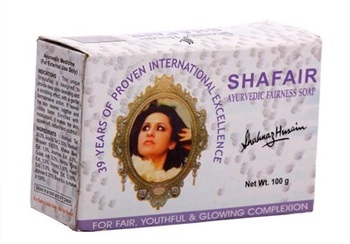 Shafair Ayurvedic Fairness Soap is dipped in the goodness of turmeric, saffron and honey that gives you a perfectly glowing fair skin. Lime works as bleach on the skin and saffron makes your skin glow and keeps its moisturized. 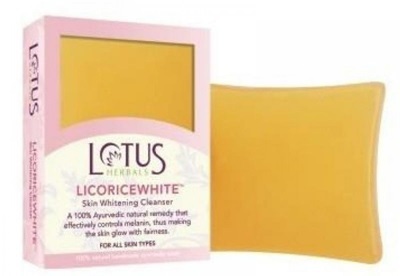 Lotus Herbals Licorice White Skin Whitening Cleanser contains licorice and manjistha that acts as dark spot reducing agent on the skin. The soap controls melanin production thereby making your skin glow and look fairer. The sweet aroma from the flowers and fruits adds on to your freshness. 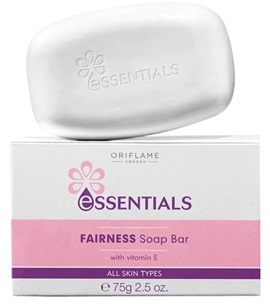 Oriflame Essentials Fairness Soap is a soft, smooth and cream-based soap that can be applied on all skin types. The natural skin lightening ingredients work actively on the skin and deep cleanse pores. It is suitable for all kinds of weather conditions. 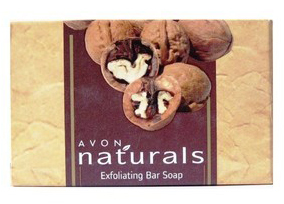 Avon Naturals Fairness Bar soap is made out of pure natural ingredients and hence suitable for all skin types. It smoothens your skin and keeps it away from any kind of irritation. It includes a mild and gentle cleansing factor that lightens skin tone. 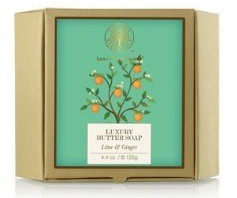 Forest Essentials nourishing soap is all about its delicate floral fragrance. Natural ingredients like fresh cow’s milk, saffron and honey makes your skin look fairer and radiant. The soft touch its leaves after every use make it ideal for all seasons. 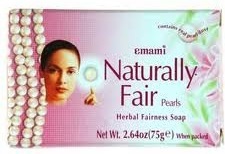 best Emami Naturally Fair Pearls Herbal Fairness Soap contains ingredients that protect the skin from harmful UV rays. The goodness of saffron, aloe vera, sandalwood, liquorice and chamomile cleanses your skin and moisturizes it. Moreover the herbal natural extracts and real pearl dust is the main factor behind your fair and glowing skin. 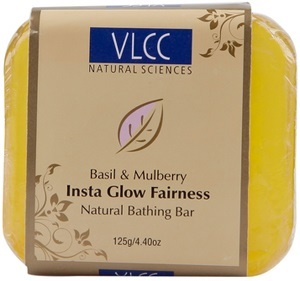 VLCC Insta Glow Fairness bar is made out of deep cleansing ingredients like basil, mulberry and almond extracts that keeps your skin from drying out fast. The soap is suitable for both the body and face. It keeps your skin soft throughout the day. 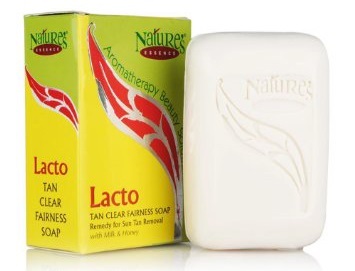 Nature’s Essence Lacto Tan Clear Fairness soap is enriched with goodness of natural ingredients like milk and honey that helps in skin lightening giving you skin an even tone. This fairness soap controls the production of melanin thereby adding on to your glow. 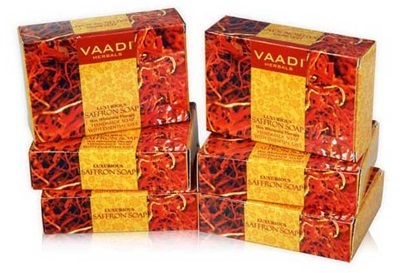 Vaadi Herbals fairness soap works best on pigmentation marks and blemishes. The ingredients like saffron and goat milk helps in skin lightening, skin softening and acts as bleaching agent on the skin and controls dark spots respectively. They are natural whitening agents hence with no side effects. 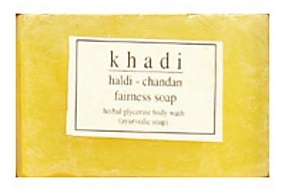 Khadi Haldi Chandan Soap works against your fine line and wrinkles and protect your skin from pollution and bacteria. This Ayurvedic fairness soap is made of the extracts of sandal, turmeric, aloe and lotus that helps in fighting skin problems such as pimples and blackheads. khadi soap is the best for all skin types..
Medix sandle soap is the best one im using it from past one month.it will not make your face dry.and gives you a glowing skin.